A face with straight-lined eyes and mouth. 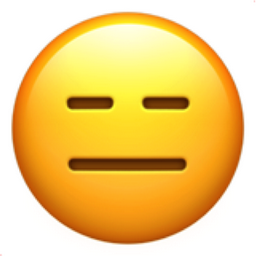 Unlike the Neutral Face emoji, there is not much to say about this particular emoji. Nothing is being hidden from you, this emoji simply does not have anything to share. Often described as vacant.